A friend of mine came to me with a dilemma this weekend, and I’m going to share it with all of you. This friend (we’ll call him Marcelo) is a big basketball fan and wants to purchase a jersey that says as much. The problem is that he’s just not certain what to buy. See, hoops merch is loaded stuff. With baseball or football uniforms, you’re looking at the team emblem more than the player name. A Tom Brady Jersey is roughly equal to a Tedy Bruschi jersey in the grand scheme of things. They both show that you’re a Patriots fan and that you have some disposable income to dispose of. If you’re in a Johnny Bench jersey, it means that you’re a Reds fan and likely have been for a while. Fairly straightforward. But basketball is a different kind of thing. It’s a game of individuals. With five per side on the hardwood, individual players have a tremendous impact on the game. And since they don’t wear hats, pads, face cages, or mouth guards, you can see their face and hear their smack talk. Of all the four major sports, basketball is the one that lends itself the most to fans learning what kind of personality an athlete has based on the game they play. You can see the Charge Of The Light Brigade-style determination in Kevin Garnett’s eyes. You can muse over the inhuman level of calm on Chris Paul’s face. You can gaze in fear at the “WHAT, MAN! I GOT NOTHING TO LOSE!! !” rage painted on Rasheed Wallace. You’re more informed about what’s going on with these men than you are with what’s happening behind Joe Mauer’s catcher’s mask. Combine that “game of individuals” mentality with the “you ain’t nothing if you don’t play at Rucker” grittiness that permeates the game and you can get a sense of why the average suburban youth (or in Marcelo’s case, the average lawyer from Guam) can experience difficulty in choosing the perfect jersey. So here’s a bit of a guide on what to look for in a jersey. After all, you should feel as comfortable wearing it as the pro’s do. When jersey shopping, you need to start by ask yourself a few questions. -How big of a fan are you? Do you love the entirety of your sport or just your home team? How long have you been following the game? –Is this guy a good player? Does he routinely use drugs, quit on his team or abuse women or does he have a spotless reputation? Have you seen him play? Do you want your face associated with his name? Can you really pull off a Moses Malone jersey? Once your have the nominees, really think about each one of them and how their uni will advertise your life to the world. Say you’re a five and a half foot tall lawyer from Guam looking for a jersey. Think of yourself as a blank canvas that you want to paint in such as way as to showcase your love for the sport. How exactly do you do that, keeping in mind that every color, number and letter will say something about you. 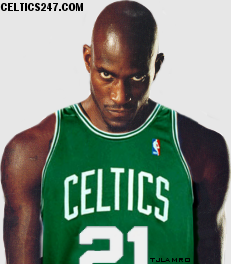 The Ray Allen Celtics jersey may give off a front runner vibe. The Allen Iverson one might suggest you associate with me-first jerks. Do you really want the classic Rodman? Seriously? The goal is to find the one that not only explains something about your love of the sport but something about you. In a game of individuals, it’s the best way to be a fan. And if you can’t find the absolute perfect one, just get a Bob Cousy and you’re all set.